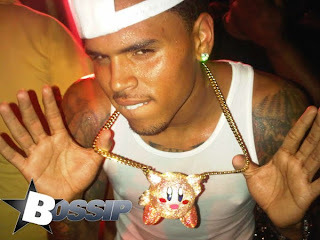 Don’t expect Chris Brown to shake his violent reputation anytime soon… In a recent interview the singer/actor revealed that not only did he do almost all of his own stunts in his new film Takers, but that he loved doing them because he finds blasting gats and blowing shizz up FUN! We’re sure Rihanna we’ll all feel so much better about you know that we know that Chrissy… SMH. On a more positive note, actor Matt Dillon has attested to Breezy’s stuntin’ skills after sharing a particularly suspenseful action sequence with him. Dillon’s character, Detective Jack Welles, and partner Eddie Hatcher (played by Jay Hernandez) chase Breezy’s character Jesse Attica through the streets of L.A., following him as he leaps through windows, scales buildings, jumps on cars and anything else necessary to avoid being captured.